Hello eveyone! I would like to share a card I made for a challenge and swap. 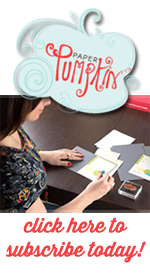 This card uses all Stampin Up cardstock. The challenge was to use beads or pearls on a card. I got the inspiration for this card here and just about cased/copied it with the exception of having the same flourish punch. I used Pretty in Pink, Sahara Sand and Whisper White Stampin Up cardstock. The flowers are daisies made from a large Punch Bunch punch and a small Marvy punch. The white layer is edged with the Martha Stewart Eyelet Lace punch around the page set which has the greeting that was computer generated. This was adhered to a piece of Pretty in Pink layered on some Sahara Sand. The card base is Whisper White. I used my Spellbinders die to cut the center out of a layered piece of Pretty in pink and Sahara sand so my focal point would show. The flourishes are cut with my Big Shot using the Stampin Up Swirls Scribbles Sizzlits die. The butterflies are cut with the Martha Stewart punch the the pearls are from my stash. I sure hope the recipient likes this card. 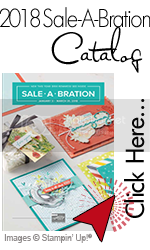 Accessories: Martha Stewart eyelet lace punch around the page and butterfly punch, Stampin Up sizzlit swirls scrbbles die, Punch bunch medium daisy, Marvy small daisy punch, Spellbinders circle dies and pearls from my stash. I love this card, I thinks I will CASE yor CASE.